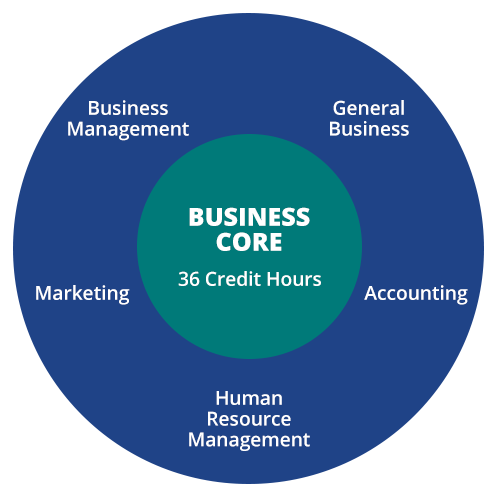 The Business Certificate, also referred to has the Business Core program, provides students with 36 transferable business core credit hours. A student who completes this certificate may transfer credits to a four-year institution for a bachelor's degree in business or complete one of the following associate degrees programs at Edison State. 1To be chosen from PSY 121S or SOC 121S.